This webinar covers the highlights of our latest FITS 4.03a release. 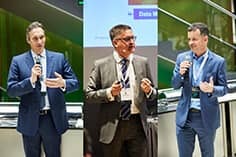 Our DKF 2019 event in Munich brings together business executives, solution providers and opinion leaders from the financial services industry. On a monthly basis we are hosting Client Community Web Series for FITS. In these sessions we focus on general FITS topics to allow clients to come together and share knowledge. The agenda will be added for each session after the previous webinar. This will allow for client feedback on what’s important to discuss in the upcoming webinar. This webinar reviews how to best manage your employees and team members in Quest including Support Users, problems with HR Data syncing, and permissioning.